Notes: Feb. 1960←Apr. 1960→Jun. 1960 Vol. 18, No.4. 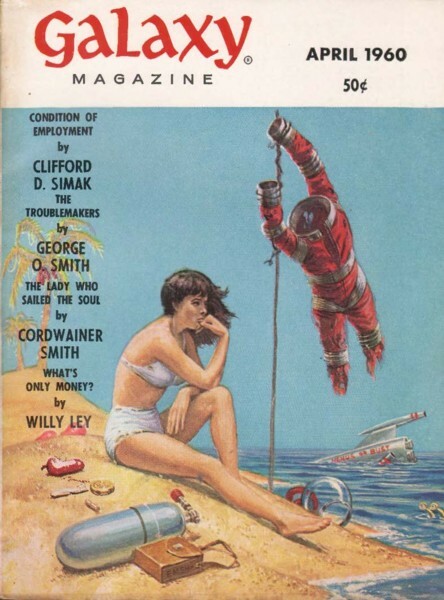 Cover by Emsh: Have spacesuit, can't travel.